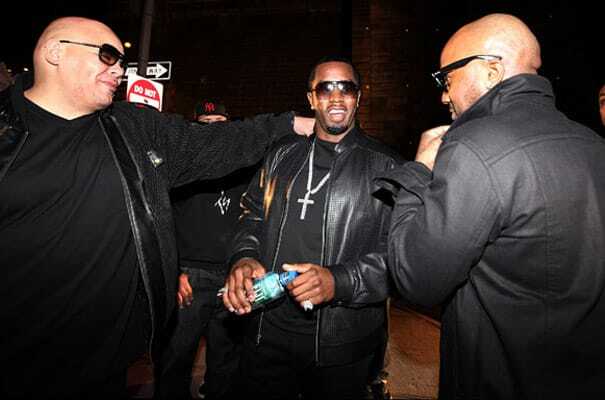 During a legendary rant at the 1995 Source Awards, as a shot towards then-burgeoning mogul Sean "Puffy" Combs, Suge Knight said, "Any artist out there who wants to be an artist but don't want to worry about the executive producer trying to be...all in the video, dancing." Well, guess what we've learned since then? Even if you don't sign to Bad Boy, Diddy will still pop up in your videos. Even if he has nothing to do with the song, he'll be in your video! Which is why we weren't the least bit surprised when we spotted Diddy surfing on the hood of a Phantom in Fat Joe's "Slow Down (Haha)" video. Not that we mind. The Bad Boy CEO is well known for his legendary cameos, which is why we're decided to put together a list of Diddy's 10 Best Cameos for songs he has nothing to do with. Take that! Take that! Take that!